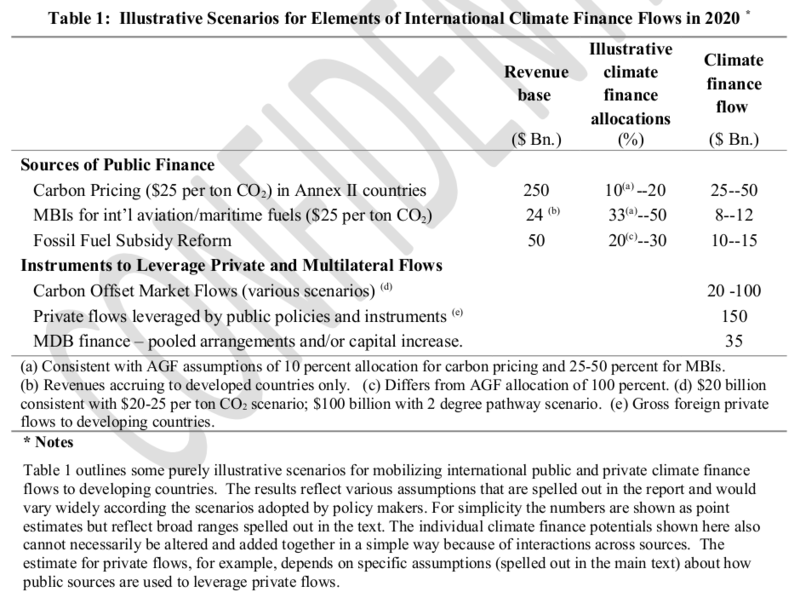 The report, titled, “Mobilizing Climate Finance”, was prepared for the G20 meetings in November 2011. According to John Vidal, writing in The Guardian, the draft “is likely to provide a template for action in the UN climate talks that resume in Panama next week, in preparation for a major meeting of 194 countries in Durban in November.” The report can be downloaded here (pdf file 1.1 MB). The report is not only about trading carbon, but it does demonstrate two things very clearly. First, the mess that carbon markets are currently in, and second, the World Bank’s obsession with carbon markets. In phase 3 of the European Trading Scheme, Deutsche Bank anticipates an average price of €24. The estimates are more optimistic the further away they are, presumably based as much on wishful thinking as the accuracy of Deutsche Bank’s crystal ball gazers. [C]arbon offset markets – and carbon markets as a whole – now face major challenges. The value of transactions in the primary CDM market declined sharply in 2009 and further in 2010 (Table 2), amid chronic uncertainties about future mitigation targets and market mechanisms after 2012. A number of other factors are further constraining the potential of carbon finance, including market fragmentation in the absence of a global agreement, transaction costs associated with complex mechanisms, low capacity in many countries, lack of upfront finance, weaknesses in the current ‘project by project’ approach and non-inclusion of some sectors with significant abatement potential (e.g., agriculture). As the table shows, the international market in CDM credits collapsed in 2009 and 2010. The value of primary CDM credits traded fell to US$1.5 billion – the lowest figure since the Kyoto Protocol came into force, in 2005. But the World Bank remains optimistic. “Despite the recent slowdown in market activity, a number of recent developments do show continued interest in advancing carbon market solutions in both developed and developing countries.” With 200 bank staff working on carbon markets, perhaps we should not be surprised that the World Bank promotes carbon markets. “demand factors”: without deep emissions targets there is no demand for carbon credits (this problem is, of course, exacerbated by the current economic crisis). “supply”: there are not enough carbon credits on the market (to meet the demand for them that does not currently exist). “Market rules and institutions”: the World Bank is keen to spend lots more money on “Piloting Innovation, Building Capacity and Raising Awareness for Greater Market Readiness”. To increase the supply of carbon credits, the Bank proposes a series of measures to encourage “innovation to turn future carbon offset flows into finance”. The Bank is looking for ways that carbon finance can provide upfront investment capital to develop carbon projects. Under a sub-heading “Turning Carbon into Finance”, the Bank discusses “Risk-mitigation tools addressing delivery risks”, the IFC’s “Carbon Delivery Guarantee”, “Frontloading mechanisms”, a “Guaranteed Carbon Sales Contract”, and a “Carbon Mezzanine Debt Facility”. All which has more than a faint whiff of the sort of financial innovation that brought the world to the economic crisis that it is currently in. The “Carbon Mezzanine Debt Facility”, for example, would “address the need to limit senior debt and achieve greater equity participation in risky projects”. After looking various ways of hiding the risks involved in carbon projects, the Bank considers “Instruments to address price volatility”, to be funded through a multi-lateral bank. Which smells rather more than faintly like an offer from governments to bail out the markets (again). To increase the demand for carbon credits, the Bank suggests that rich countries could increase their “supplementarity limits”. By this it means increasing the percentage of the emissions reduction target that can be met by buying carbon offsets from the Global South – increasing the carbon offsets loophole, in other words. Given the heavy toll of a potential market disruption in terms of both capacity and confidence, governments could make innovative uses of climate finance to sustain momentum in the market while new initiatives are being developed. They could, for example, dedicate a fraction of their international climate finance pledges to procure carbon credits for testing and showcasing new approaches, such as country program concepts, new methodologies, CDM reforms and new mechanisms. The Bank, then, is suggesting diverting money from climate mitigation to bail out the carbon markets. This is a beautiful example of the way the World Bank’s carbon market proponents think. Having realised that there is a massive problem with the carbon market, they look for ways of rescuing it – regardless of the impacts on the climate. PHOTO credit: Climate Justice Now! Have you got confirmation that the “Mobilizing Climate Finance” document is genuine? The report’s suggestion that government’s should divert some of their meager climate mitigation funds into propping up the carbon markets is sick and perverse even by the World Bank’s dismal standards. I for one would very much like to see the analysis and assumptions upon which the Bank bases its projections for future carbon prices. Mr Steer has maybe not noticed what is happening in the European Union economy at the moment, which accounts for more than 95% of the primary global carbon market. I assume the study did not examine the option of redirecting World Bank loans and financial assistance for coal, oil, gas, and other climate intensive projects in developing countries to low carbon projects instead? This would seem a clear policy reccomendation. During the 2008 fiscal year, World Bank and IFC fossil fuels funding increased 102%, accoring to the Bank Information Centre. Does anyone have figures on overall World Bank finance for fossil fuels development and trade are? It would also be interesting to see how much it is costing per ton to mitigate carbon (I mean *real* mitigation, not just the creation of hot-air credits) through the various World Bank schemes, taking into account all those 200 highly-paid staff in Washington, and the massive overheads associated with them. Has the Bank ever been called to account for its cost-effectiveness in mitigating carbon? Has it ever published such information, or have any of its donors ever asked for it?? @Dean Hewson – It was posted on the Guardian’s website on 21 September 2011: http://bit.ly/oSEh6h. I think if it wasn’t genuine the World Bank would have asked the Guardian to remove it by now. Wow. This is journalism at its finest. Congratulations Chris, you are the Perez Hilton of the forest carbon industry. @Brendon – That’s hilarious Brendan. I’d never heard of Perez Hilton. I’m guessing, because you don’t really explain what you think, but do you believe that this World Bank report is about as interesting as a duet between Lady GaGa and Cher, or the question of who the latest Bond girl might be? And that the 200 highly paid carbon trading experts at the World Bank are the celebrities? And that we’d be better off leaving it up to them to sort out climate change for us? Or do you believe that the carbon market hasn’t actually collapsed? What is your point, exactly? @A Witness Do you think that the new carbon scheme in Australia will fall pray to the same shortcomings in Europe’s ETS that World Bank focuses on? @ Abigail – As I understand it, the forthcoming Australian carbon scheme is more like a tax than a cap-and-trade scheme, until at least 2015 when permits might start becoming tradable. You will no doubt have noted that the target price for the scheme is AUS$15/ton (US$14.50) which Macquaries (note vested interest) expect to increase at about 4% per year over inflation – thus reaching maybe AUS$19-20 by 2020, i.e still, at best, at the very bottom end of the risible fantasy price projections of Andrew Steer and his colleagues in the Bank. Yes, you are right, the AUS$15 figure is the expected floor price if or when a trading scheme is started in 2015-16. So then .whats the deal?wot does it mean for COP17? The main implication would seem to be that the inducement that the industrialised world has been handing out to poor countries that carbon markets will make them rich is now shown to be the hollow bribe that it is – because there will be no carbon market so long as those same rich countries fail to make commitments to deep and binding cuts in carbon emissions. By now, probably quite a few poor countries are starting to realise that the promises of REDD money are equally hollow. So with any luck, the negotiations will get back to what they are supposed to be about – reducing emissions from the major polluters – instead of being some shabby carbon market trade gathering.